Bulgarian MEP Peter Kouroumbashev (S&D) has compared ideas for a two- or multi- speed EU, advocated by the European Commission, to apartheid, arguing that such projects would ultimately destroy the Union. Speaking on Nova TV, a Bulgarian public channel, on 4 March, Kouroumbashev said that if some of the Commission’s scenarios for the future of the Union were implemented, he would not be surprised if the European Parliament were to open “separate toilets for Eastern Europeans” soon after. Kourombashev joined the European Parliament recently, replacing Iliana Iotova, who was elected vice-president of Bulgaria last November. In his country, he is known for his sense of humour, which he invested as co-founder and producer of “Ku-ku”, Bulgaria’s first TV satirical show. “Ku-ku” gained international notoriety in 1991 when a parody report of “something happening” at the country’s Kozlodui nuclear power plant was mistakenly taken as breaking news by major western agencies, which presented it as a nuclear catastrophe. Kurumbashev has an unusual biography for a Bulgarian socialist MEP. He was initially one of the leaders of the Independent Students’ Societies, an opposition group to the Komsomol, and was among the founders of the Union of Democratic Forces (UDF), the historic anti-Communist force. 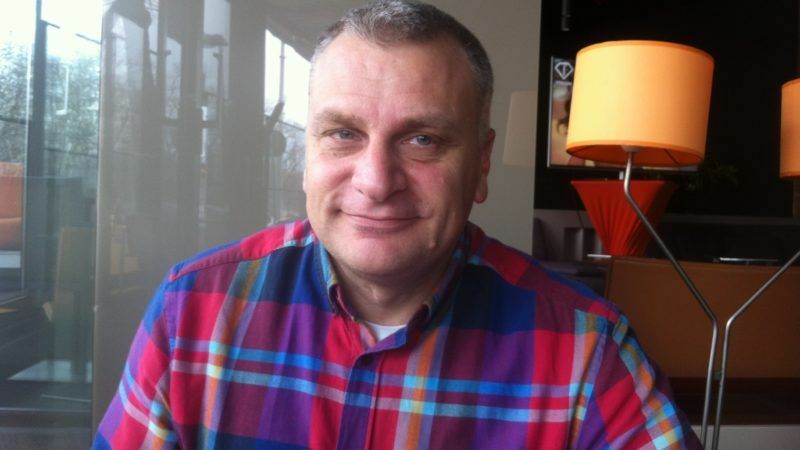 He has twice been elected as an MP for the Socialist Party and has been a councilor to the Sofia municipality. 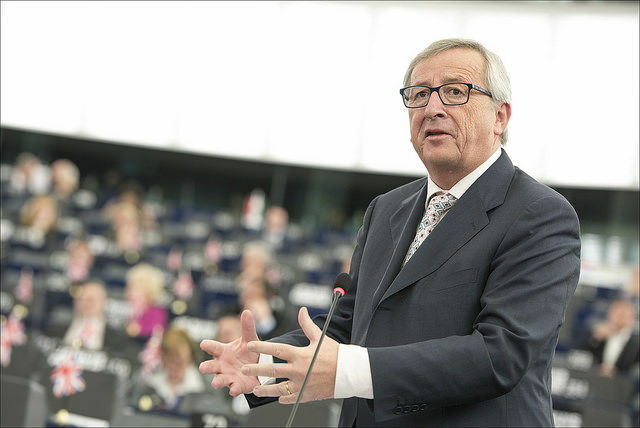 The MEP was invited to comment the recent “five scenarios” for the future of the EU proposed last week by Commission President Jean-Claude Juncker, as a basis for further discussion expected to bring results by December. 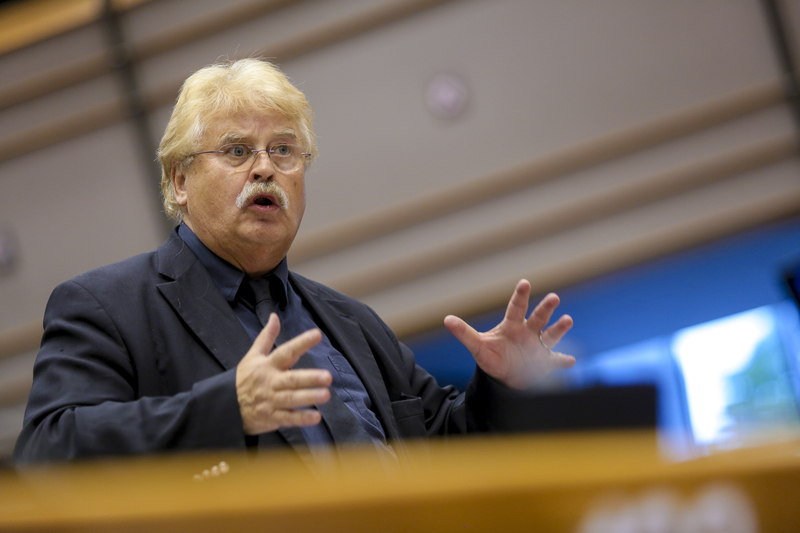 “Maybe Europe has decided in the 21st century to introduce some sort of modern apartheid on its continent,” the MEP said with reference to attempts to “formalize” the existing inequalities in the EU by adding new layers in decision-making. He was also categorical that such ideas would end up “destroying the EU”. “After the migration crisis, the terrorist attacks, Brexit etc., two-speed Europe comes as yet another attack to break up Europe, but this time from the inside,” Kouroumbashev said. He made reference to the ideas of the leader of the liberal ALDE group Guy Verhofstadt to introduce a voting system which gives full voting rights to eurozone members and “non-biding advisory votes” to non-eurozone members . “So, honourable Mr. Verhofstadt wants to grant us the status of EP visitors. How generous from him,” Kouroumbashev said with irony. A recent European Parliament resolution authored by Verhofstadt, which is based on the assumption of the need for treaty change, indeed envisages such a possibility. Lawmakers clashed today (14 February) as they sought to brush out a vision for the 27-country bloc after Brexit, opening a breach between those wanting to maintain a united and integrated club and those who prefer moving towards a two or multi-speed Europe. Bulgaria, Kouroumbashev argued, was not far from accession to the euro. The Bulgarian currency, the Lev, is pegged to the euro (historically is was pegged to the Deutsch Mark). Bulgaria has also been considered fit for Schengen accession by the Commission for many years (it fulfilled all technical requirements at least five years ago). In fact, Bulgaria and Romania were prevented from Schengen accession by individual member states, in line with their electoral calendars. The Juncker paper says that countries “wishing” to join different formats of integration should be able to do so, but says nothing against other member states teaming up to keep them out. The Bulgarian MEP argued against artificial divisions in the Union and attempts to separate older and newer members on the basis of unsubstantiated assumptions. Contacted by EURACTIV, Kouroumbashev said Bulgaria was indeed a poorer country, but it was more pro-European than most of the older members, if not all of them. “After such proposal, it will be more difficult to keep the pro-European position in my country,” Kouroumbashev said. He added that the dream of his generation and the students from the 1990’s was a united Europe. “Now they are offering to us not an Iron, but a Silk curtain,” he said, adding that those who try to push Bulgaria toward Turkey or toward Russia can only benefit from such policies. He made the point that for Bulgaria, which will take over the rotating presidency of the Council of the EU from 1 January 2018, could hardly encourage its neighbours from the Western Balkans “to join EU as a substitute member with non-binding opinions”. He also made reference to the lower quality of foods sold by multinationals in the countries of Central and Eastern Europe. 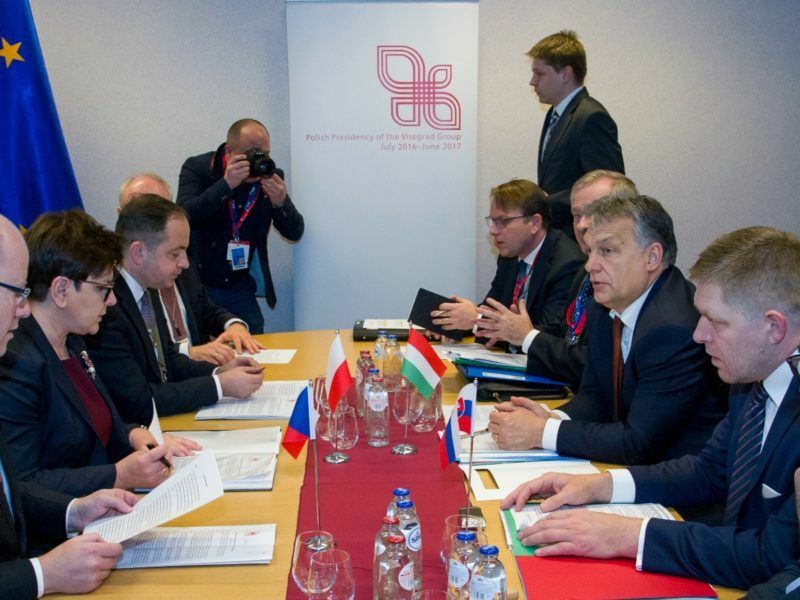 The leaders of the Visegrád Group (Poland, Czech Republic, Slovakia and Hungary) are meeting today (2 March) in Warsaw to discuss, among other things, food quality in Central and Eastern Europe. The practice is legal in the European Union, to which most eastern states now belong, as long as ingredients are declared. But Kouroumbashev obviously sees it differently. He joked that different foods for Eastern Europeans would “naturally” lead to separate toilets for MEPs from that region. “Leaders of the EU institutions like to stand under the portraits of [Robert] Schuman and [Altiero] Spinelli, just like [Turkish President Recep Tayyip] Erdoğan likes to stand under the portrait of [the founder of the modern Turkish Republic Mustafa Kemal] Atatürk. But what they say is equally at odds with the historic legacy,” he said. 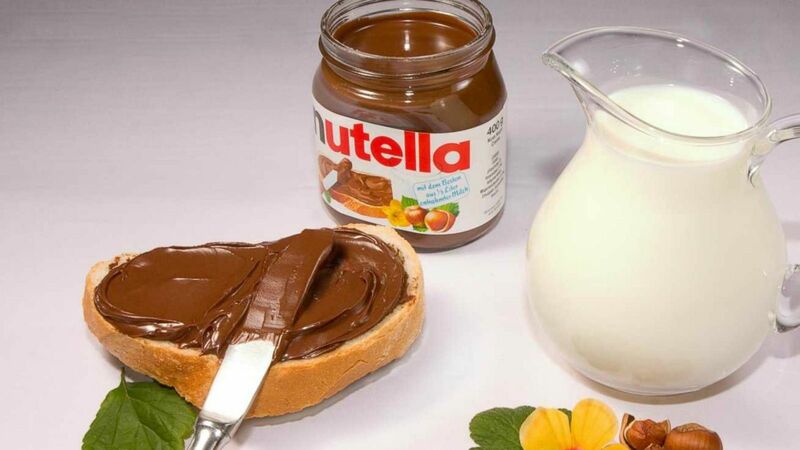 Big companies are selling better food in Austria than they sell in Hungary, even though the brands are supposed to be the same, the Hungarian government said yesterday (16 February).